The Liberal leader Justin Trudeau says his party will introduce flexible work hours if they win the election but could it bring benefits to employers as well as workers? While Stephen Harper has been busy this week promising help for the housing market, Liberal opponent Justin Trudeau has focused on workers and the hot topic of the moment work-life balance. Speaking at an event in Winnipeg, Trudeau said his party would allow workers the right to demand flexible hours and would introduce increased parental leave. The measures could mean an uptick in employees requesting flexibility in their start and finish times, which will prove popular with workers who have to take or pick up children from school. There would also be a legal right to ask to work from home. It would mean that the federal labour code would be amended and Ottawa would also work with provincial governments to see the policy rolled out nationwide. On a positive note for employers, although there would be a right in legislation to request these measures, there is no suggestion that a Liberal government would try to force employers to say yes. In practice, based on similar laws in other countries, employees make a request and employers eventually grant it in the majority of cases. In a whitepaper called Flexible Working, Making it Work, Unison, one of the largest unions in the UK, makes the case to employers and highlights some of the positives of allowing workers more flexibility. 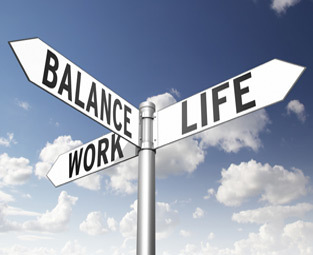 Additionally, stress levels have been reported as lower while staff morale increased where flexible working was allowed. The Unison report reminds employers that managers should have flexible working options too. It suggests that where flexible working options are being considered there should be a dialogue between workers and employers and recommend a trial scheme initially.